A company created specifically to provide a cost-effective, simple and flexible way of providing public access to financial records. We want to make it easy for organizations of all sizes to be able to provide automated access to the information that constituents demand and need. Financial transparency via an “Open Checkbook” interface is rapidly becoming perhaps the most effective way of ensuring that constituents trust that an organization is financially responsible. With state and federal mandates for financial transparency looming, organizations that are early adopters of an Open Checkbook interface for constituents, are in a very strong position moving forward. Many of the mandates being crafted are based upon the financial transparency systems that have already been put into place by early adopters. Making it easy for you to become an early adopter of financial transparency. Developing a system that will evolve as the mandates evolve. Providing an intuitive, flexible and scalable financial transparency platform for organizations of all sizes. Our roots are in Massachusetts local government. Seeing the rapidly developing need for financial transparency solutions for small to mid-size local government, we had a vision of providing a simple, intuitive, low maintenance, and cost effective solution to fill the void. Our first release makes accounts payable easy to search. 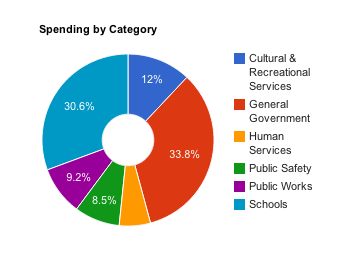 Accounts payable is really what people think about and identify with in terms of government spending. People want to know where are our public monies are going. The OpenCheck solution addresses that in a very simple way. When information is presented as an ocean, it's easy to drown. The idea behind OpenCheck is to make public financial information accessible to all, without getting bogged down with extraneous minutia.